Following the restoration of the Portuguese crown, King Peter II sought the resolution of the southern border of Brazil. Manuel Lobo with 5 ships containing about 400 soldiers, craftsmen, carpenters and stonecutters, and 18 guns, reached San Gabriel island on 20 January 1680. On 28 January, they commenced establishing a post. 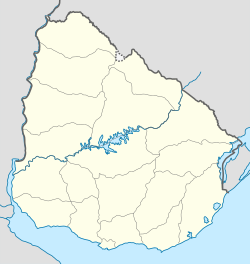 Wikimedia Commons has media related to Colonia del Sacramento. Wikivoyage has a travel guide for Colonia. This page was last edited on 26 April 2019, at 00:43 (UTC).